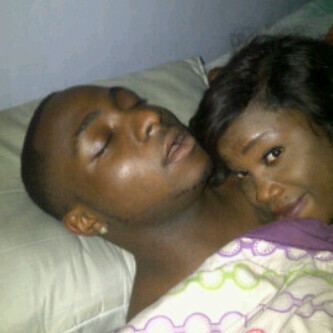 Davido still enjoying the ladies....hehe! It's not easy being young, rich and famous. All 'dem groupies want a piece of you...and when you're sleeping, they take a photo to show off to their friends. Guess who I was with last night? Lol. And isn't this the second time this is happening to him?